The Marruffo clan gathers in front of the TV for Game 2 of the World Series. 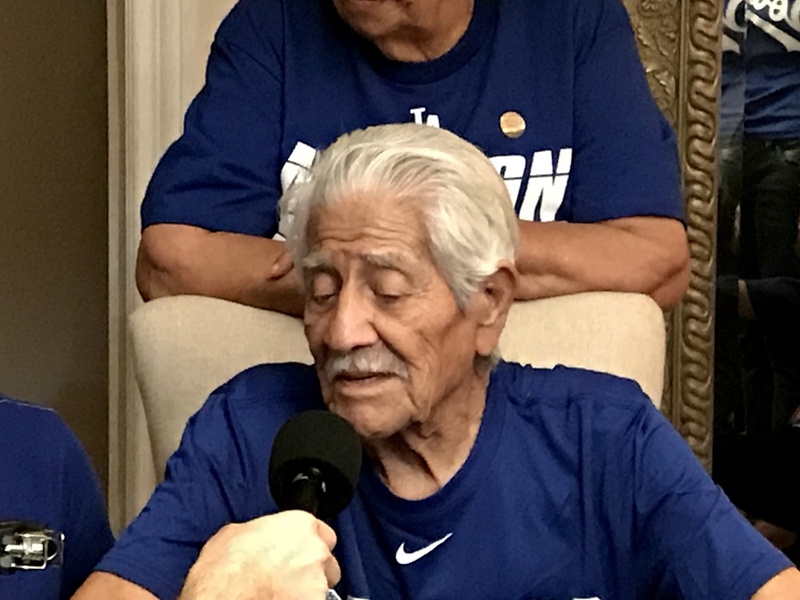 93-year-old Andres Raul Marruffo has been a Dodger fan for as long as he can remember. He roots for his team during Game 2 of the 2017 World Series. 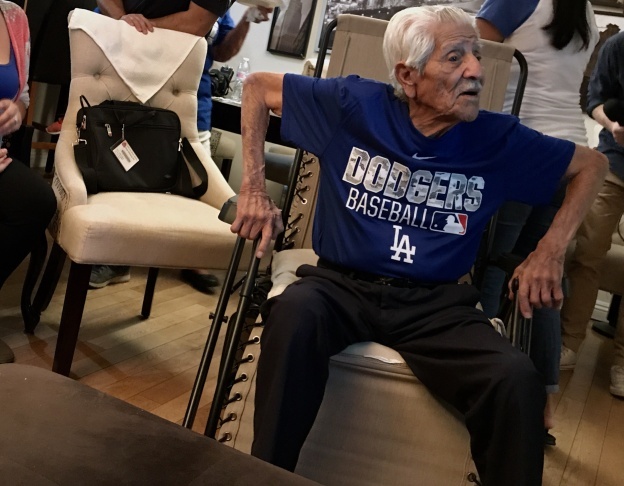 93-year-old Andres Raul Marruffo had the best seat in the house for Game 2 of the World Series. 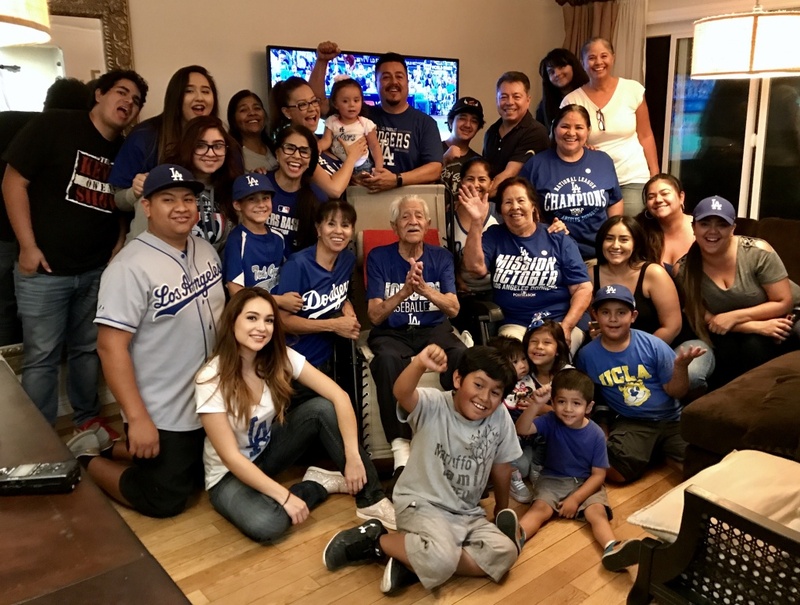 More than two dozen members of the Marruffo clan gathered in Rowland Heights to watch Game 2 of the World Series on Wednesday. The patriarch of the family got the best seat in the house, right in front of the TV. 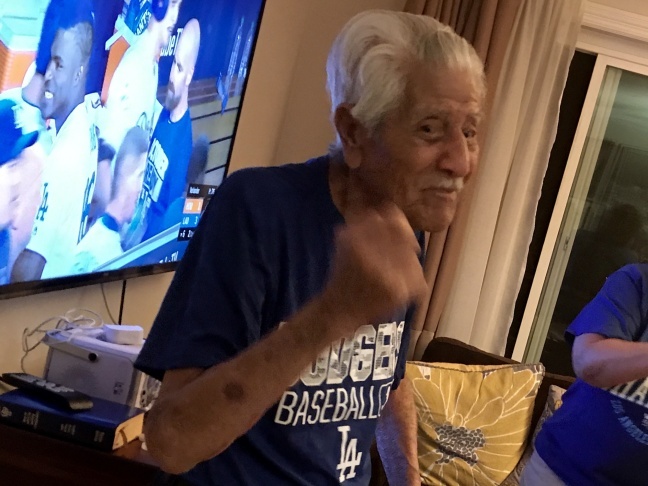 At 93, it’s safe to say Andres Raul Marruffo is one of L.A.’s oldest Dodger fans. He remembers the excitement of their 1988 World Series win. "Yes, I remember the times before, the games and what they did to win that championship," Marruffo said. "It could happen like that now, also the same way." Marruffo has been a fan for as long as he can remember. He said he went to his first game at Dodger Stadium in 1974. 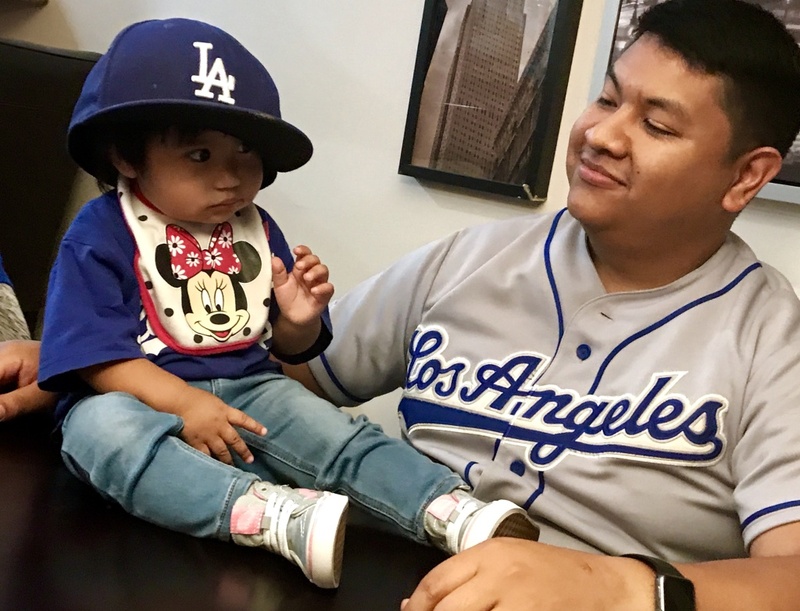 And his family feels the Dodger love too: There were five generations on hand Wednesday, including great, great granddaughter Naomi. 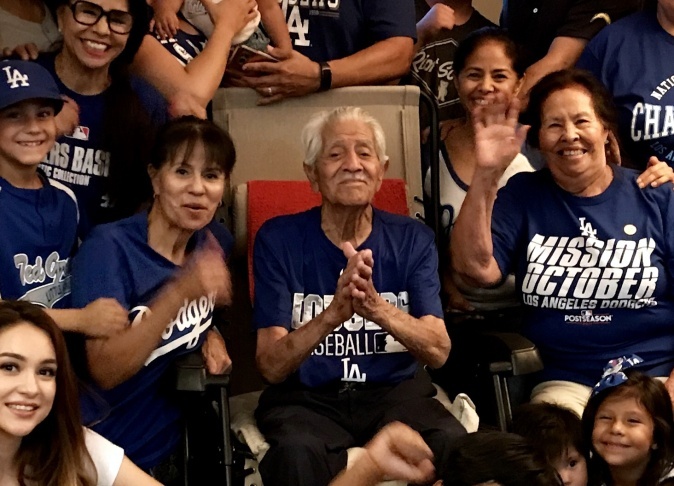 Five generations of Dodger fans, with great, great grandparents Andres and Paula Marruffo in the center. 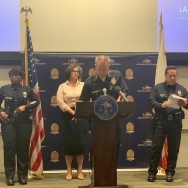 Marruffo said he hasn’t been to any games recently; it’s harder to get around Dodger Stadium at his age. But he said it was hard even back when he was much younger, when he had to corral 10 kids into the back of a station wagon. After Yasiel Puig’s home run in the bottom of the 10th inning, Marruffo sprang up from his chair to high five family members. 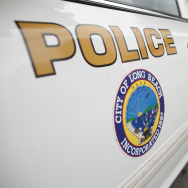 "We’re lucky to have him still," Granddaughter Ashlie Rochas said. "Hopefully they win so that he gets to witness one more, you know?" There was at least one Angels fan on hand, brave enough to sport a jersey, too. But granddaughter Neva Rangel said there are no hard feelings. 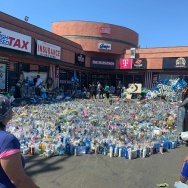 "As much as I like the Angels and as much as they like the Dodgers," she said, "baseball was always the one thing that brought us together." 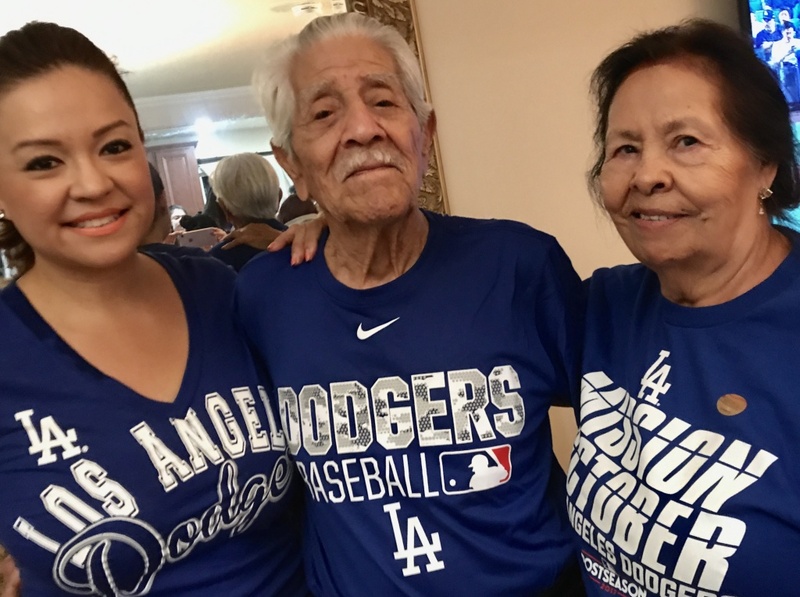 Sadly for most in this family, the Dodgers fell short on Wednesday. But in the end that doesn't matter, said Marruffo. 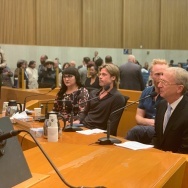 "It makes me happy, it’s a privilege," he said. 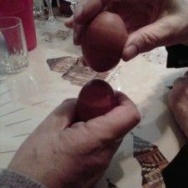 "Not many people get to experience this with their family." "Not many people get to experience this with their family," said 93-year-old Andres Raul Marruffo.